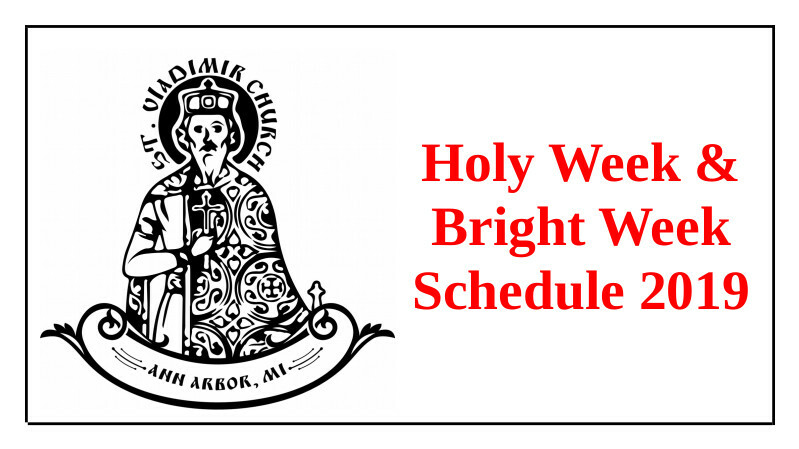 Welcome to the Home Page of St. Vladimir Church! Sunday Divine Liturgy: 10:00 a.m. Please take time now to reserve in your personal schedule those services you attend every year. Then choose one more and add that one too! And if you are not a regular participant in the Holy Thursday evening services you really should be. On April 25 at 6:00 p.m. we will, God willing, execute one of the most beautiful and meaningful services of the year. Our choir works very hard to prepare for this service and we hope sincerely that NO ONE will miss this opportunity for us to be mystically present at the events surrounding the crucifixion of our Lord. There is nowhere else we should be on this evening but standing at the cross of the Lord – even as the disciples flee in fear. Do not join them! Join us at the cross of Christ by participating in this beautiful Divine Service!